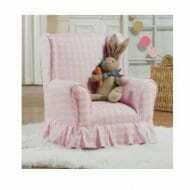 Featuring a mini dot French Grey cotton fabric, this is the perfect chair for story time or movie night. 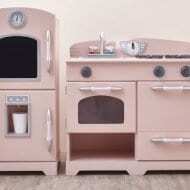 It is hand built in the USA with a solid wood frame, impeccable welting and has a skirting detail. Sized for children up to age 7.